We have great news for all fans of plains and flight simulators! Dreampix studio released two games where you can be in the place of a true pilot and navigate a racing plane or a battle plane! Wanna have more extreme and interactive flights? You’ve always dreamed to become an air force officer? Air Storm ride takes place above the scenic canyon. 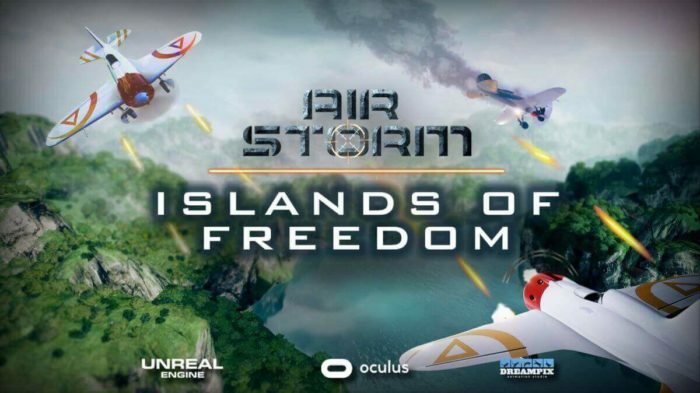 You not only can fly on a fighter plane using VR machine but also shoot hostile aircrafts! Put a target on planes and huge rigid airships and watch them exploding! Our virtual reality simulator supports audio connection between users!